Used for any tightening operation such as mass production, maintenance, etc. The rotary slip clutch has reduces the possibility of over-torque. Used for any tightening operation. RTDLS is for error-proofing (POKAYOKE) purpose. Toggle clutch type torque detection mechanism ensures accuracy and long durability. Locking mechanism prevents the change of torque while in use. RTDLS series (120CN - 500CN) are added for error-proofing purpose. For RTD260CN, 500CN, preset hook spanner is supplied as standard accessory. 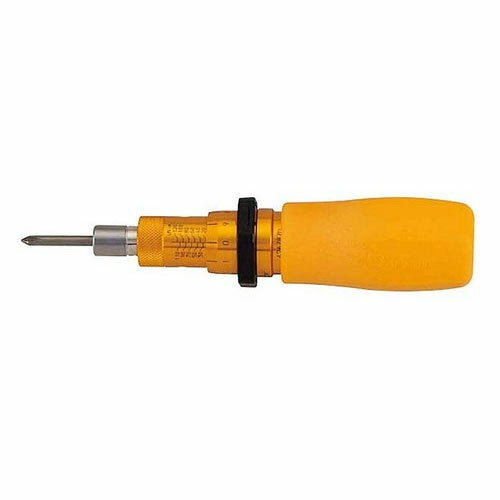 For RTD120CN, 260CN, resin grip is supplied as standard accessory.